The Phyto-Teint Eclat is a long-wearing and light fluid foundation. It ensures an even, natural, and radiant complexion. It provides a delicately powdered finish that is like a second skin. Its easy application allows for adjustable coverage. Enriched with gardenia, woodmallow, and Linden blossom, it leaves skin feeling hydrated and soft. Its oil-free, non-comedogenic formula is appropriate for all skin types. Shake the bottle. 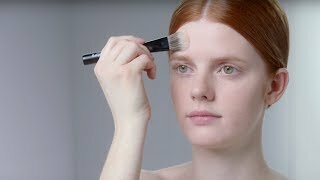 Use your fingertips or a brush to apply the foundation (after your usual skincare regimen) in a light smoothing motion. Work from the midline of your face outward, then blend at the edges. If needed, set the foundation with the Transparent Powder or the Phyto-Poudre Compacte.